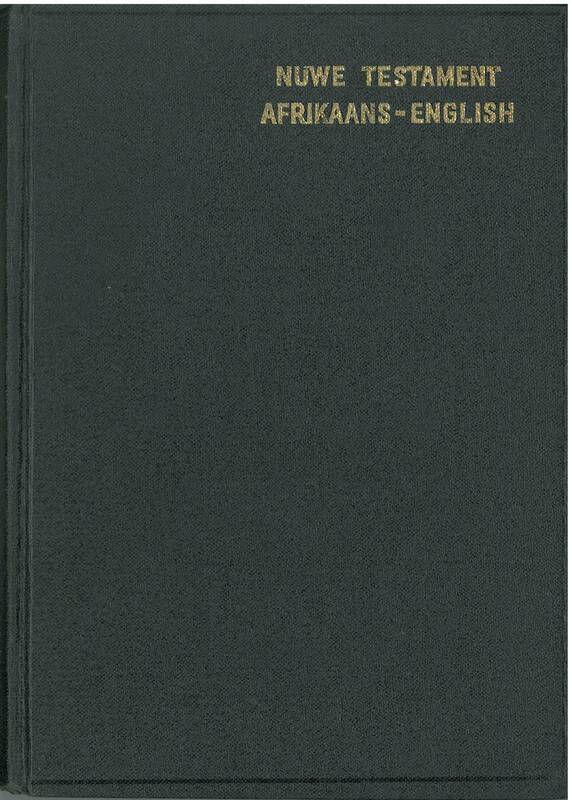 Afrikaans is a West Germanic language, spoken natively in South Africa, Namibia and to a lesser extent in Botswana and Zimbabwe. 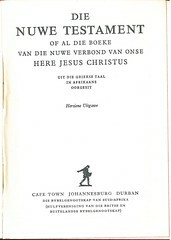 It originated from 17th century Dutch dialects spoken by the mainly Dutch settlers of what is now South Africa, where it began to develop independently. 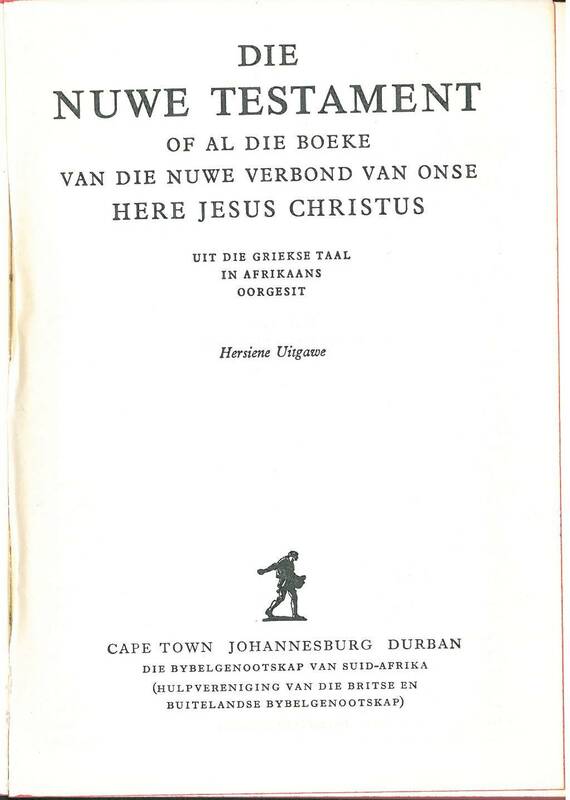 Contents: New Testament in Afrikaans and English (King James version) parallel diaglot.